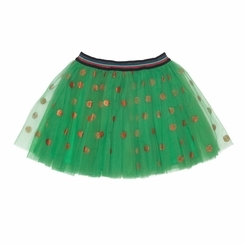 From the Mim Pi Muze collection whimsical green tulle skirt with gold oversized dots. Wide waist band. Fully lined.